Is Your TMF "Fit"?Effectively Operationalizing your Trial Master File Requires the human element. order to reach my 10,000 step-a-day goal, I have to actually take steps. The same can be said about an electronic Trial Master File (eTMF) system: you have to take the necessary steps to reach your goal of having a quality TMF. Like the Fit Bit, you cannot get to 10,000 steps—an inspection-ready TMF—without the human element. What about new instances or versions of documents? Implementing eTMF technology is not a magic wand that ensures a quality, inspection-ready TMF. We need the human element—qualified personnel with knowledge of study-specific processes—to achieve our goals. As clinical research professionals, we love having our Trial Master File electronic because it offers us a very long list of benefits: increases document security, reduces document storage costs, etc. It makes our lives easier in so many ways. With the click of a mouse, we can quickly open a study document right on our computers! At a higher level within a company, consistency amongst studies is increasingly important and easier to manage with an eTMF system. For example, if a Communication Plan was created for a phase 2 and phase 3 study and the plan is only filed for the phase 2 study, how will anyone ever know that it is missing for the phase 3 study? 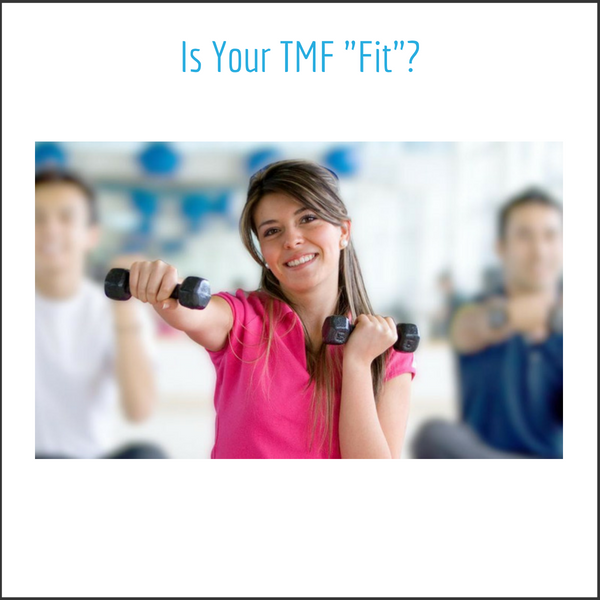 TMF management can look across studies. Do you remember the days when we had to go through paper files and banker’s boxes to look for documents? I do, and I never want to go back to paper again. If you are still working in paper, you should consider migrating to an eTMF system as soon as you can! Direct life-cycle-TMF management is the best solution. As we rely more on technology, proper management of the TMF is becoming more and more important. The best way to truly manage your TMF—ensuring quality and confirming inspection readiness throughout the life of the study—is to have direct management of the setup, maintenance, and closeout of the eTMF by qualified personnel. We know and understand that a regulatory inspection or internal/external audit can occur at any time during the course of a study. Having proper TMF management by qualified personnel can help facilitate a smooth inspection or audit by serving as a Subject Matter Expert for questions regarding TMF setup, maintenance, closeout, and quality processes. Our world is becoming more and more electronic, and we have to govern ourselves accordingly. We have to acknowledge that technology does make us more efficient, but there also needs to be a human element. eTMF management does not have to be an overwhelming process when it is done correctly. Contact LMK today and let our specialists develop a customized plan to meet your needs.